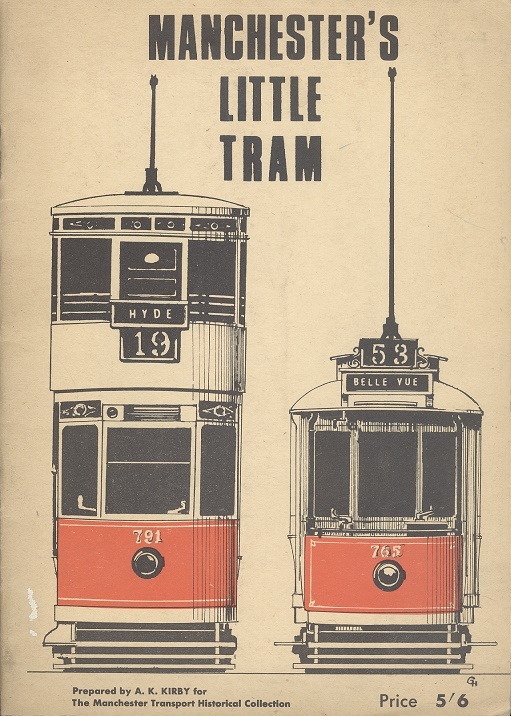 Manchester's Little Tram.. Kirby, A. K.. The Manchester Transport Historical Collection., 1964. 1st Edition. ISBN: . 40 pages, 100g. Stapled soft card covers with small scar to front left botom corner, Near FINE. Illustrated with b/w photographs and fold-out route map to rear.